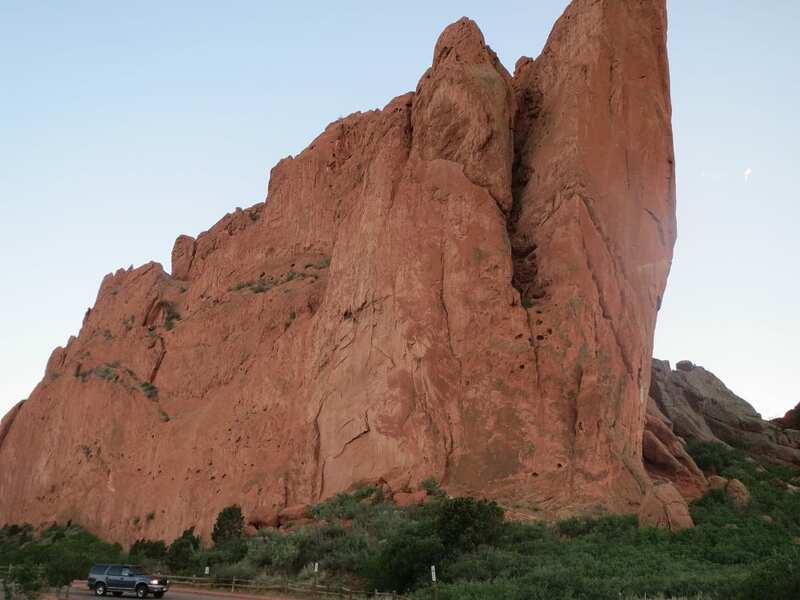 [Garden of the Gods in Colorado Springs. 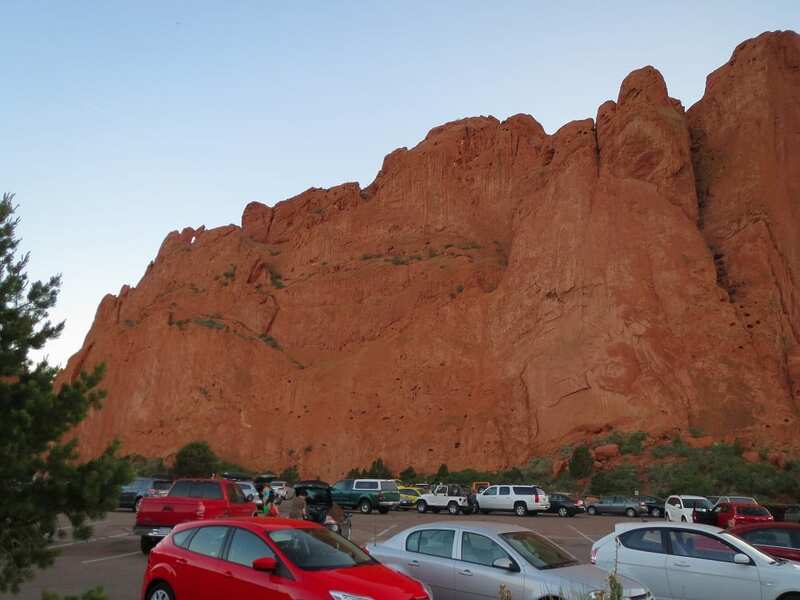 Photo: Corbyrobert] Garden of the Gods is a must see if you’re in the Springs’ area. 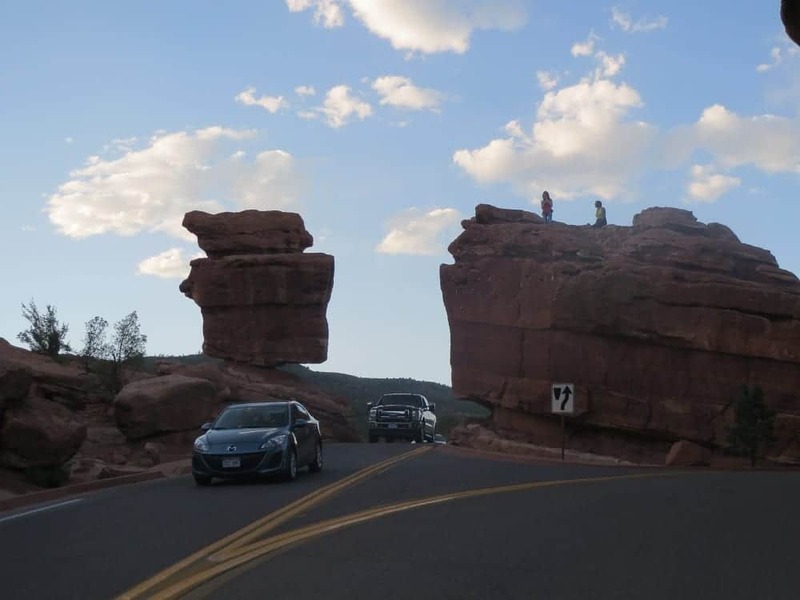 It’s a registered National Natural Landmark and one of the most popular attractions around. 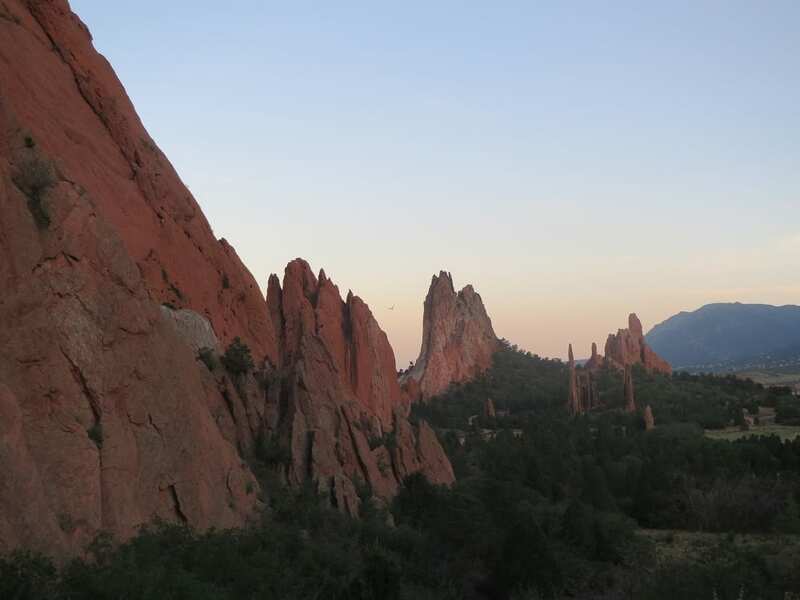 Pikes Peak hovers in the backdrop of these magnificent, sandstone rock formations. 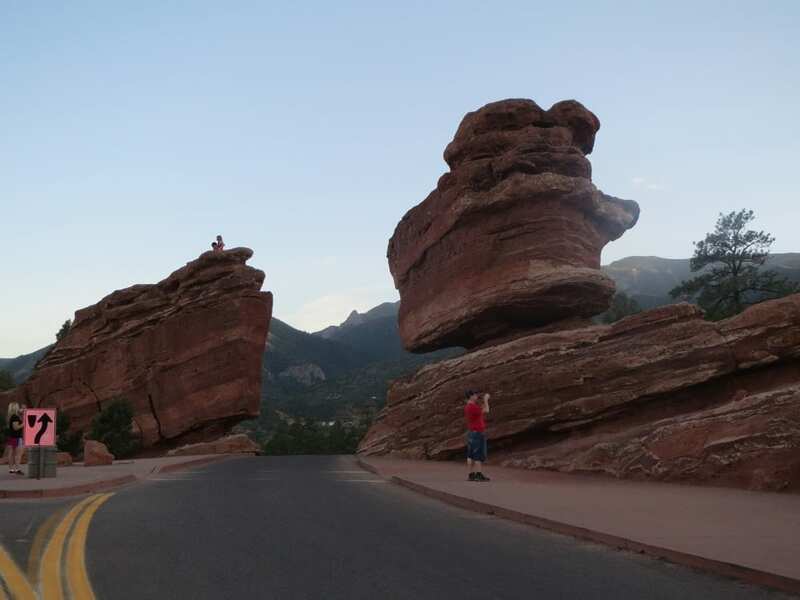 It’s the most widely visited Colorado Springs’ park with magnificent sandstones. The municipally-owned park is open year round to the public and free for use. 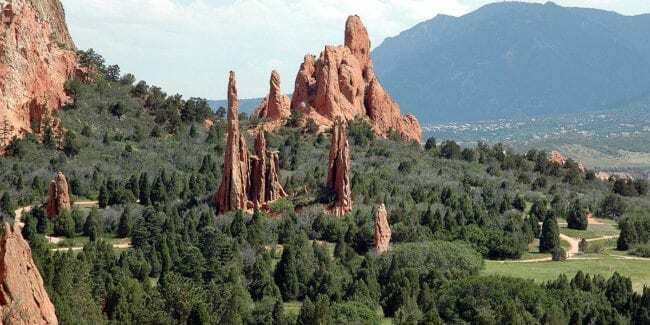 What makes Garden of the Gods a unique national natural landmark is its breathtaking physical characteristics, or lithologic nature, of sedimentary rocks at outcrop. The vertical forces that formed the Rockies’ Front Range is on full display. The honey ant is an uncommon insect species found in the park. It’s also a wonderful location for bird-watching, including canyon wrens, swallows and white-throated swifts. 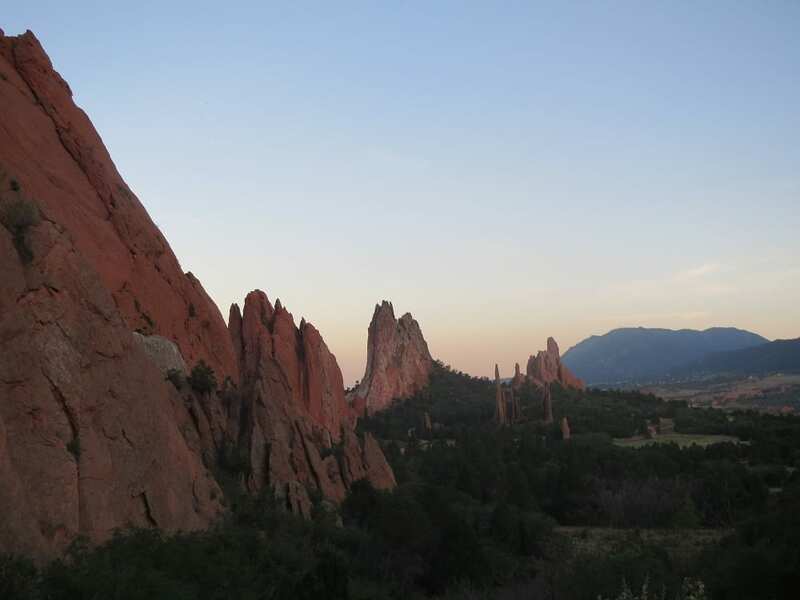 This city park is full of outstanding recreation, from biking and hiking, to rock climbing and horseback riding. Biking/Hiking: Multi-use trails open to bikers and joggers. Horseback Riding: Some trails are open to horses. 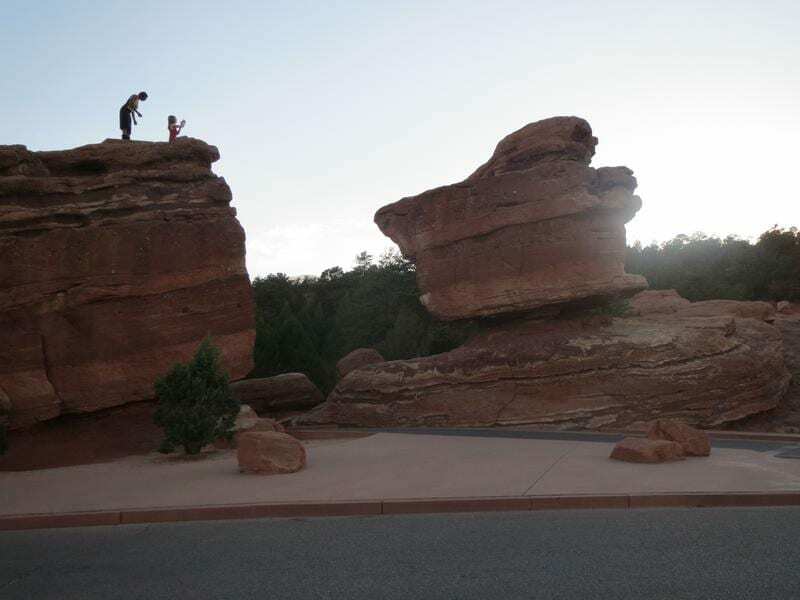 Rock Climbing: Permitted; see the visitor center for info. 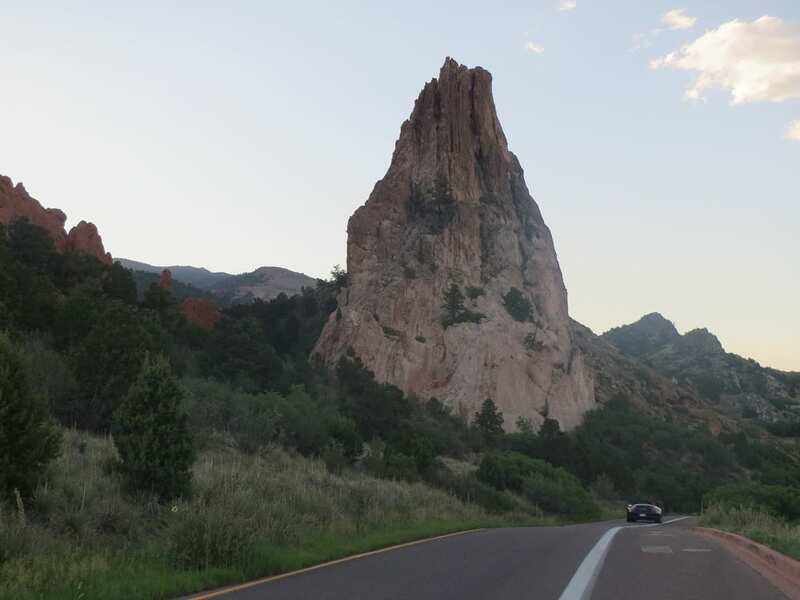 Scenic Drives: The park is easy to tour in your car. Visitor Center: Explore fun exhibits, a gift shop, a cafe, and a new high-def video explaining the region. 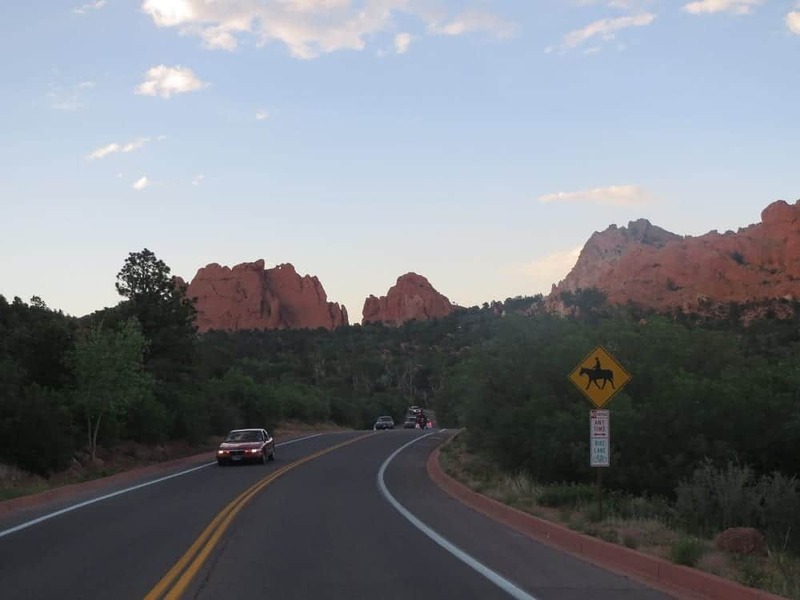 Garden of the Gods is a remarkable natural landmark home to towering red rocks, and a beautiful road that drives through the heart of the park. 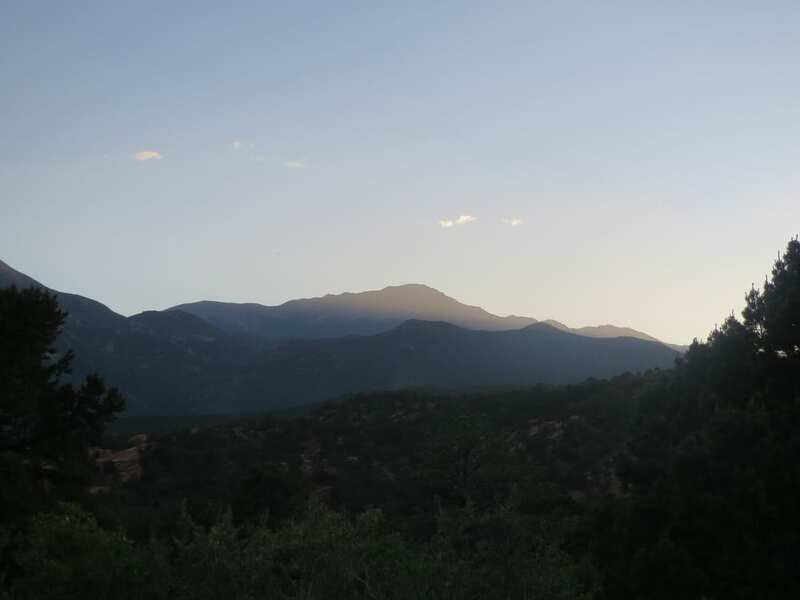 Pikes Peak hovers in the distance over a garden of sheer sandstones. 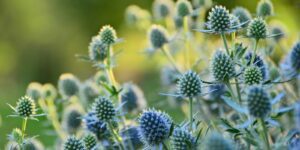 There are lots of exceptional trails suitable for hikers, bikers, and horseback riders. The auto route through takes anywhere from 20 minutes and up, depending on how long you stay. 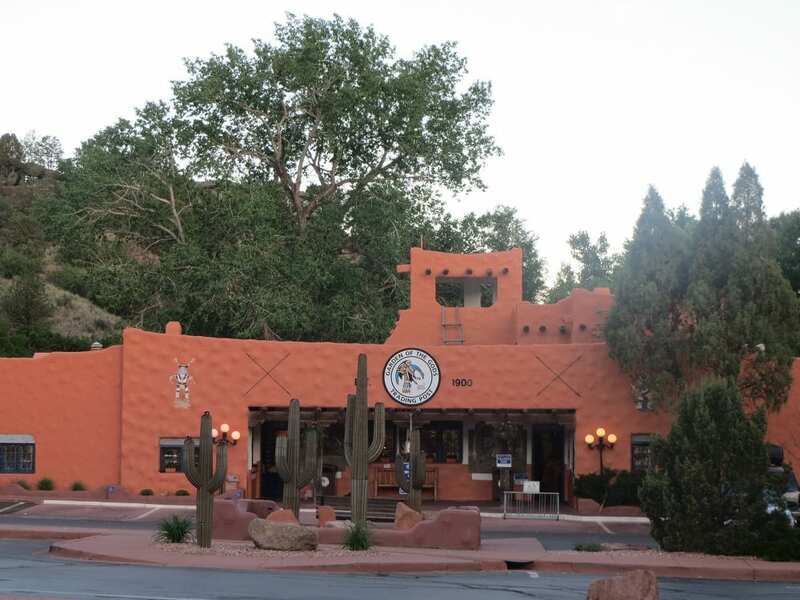 Garden Of The Gods Trading Post. Horseback riding is allowed on designated trails. One of many towering rock formations. Main parking area and an impressive rock. 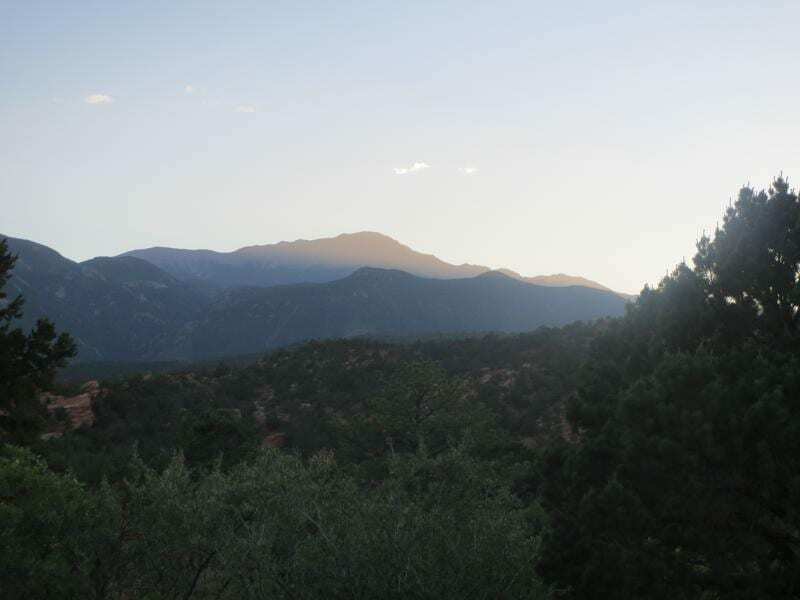 Looking over at Pikes Peak. 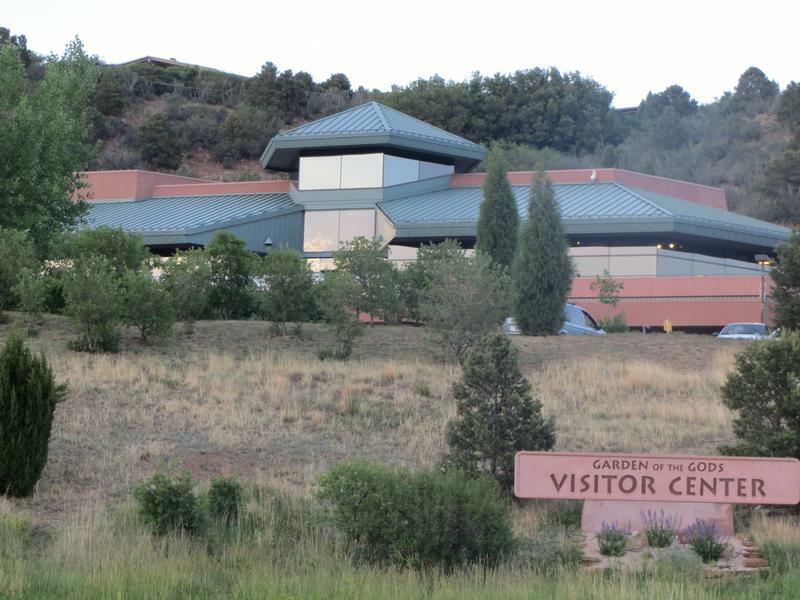 Garden of the Gods has a large, modern VIsitor Center with exhibits, a cafe, gift shop, and a 14 minute movie about the history. 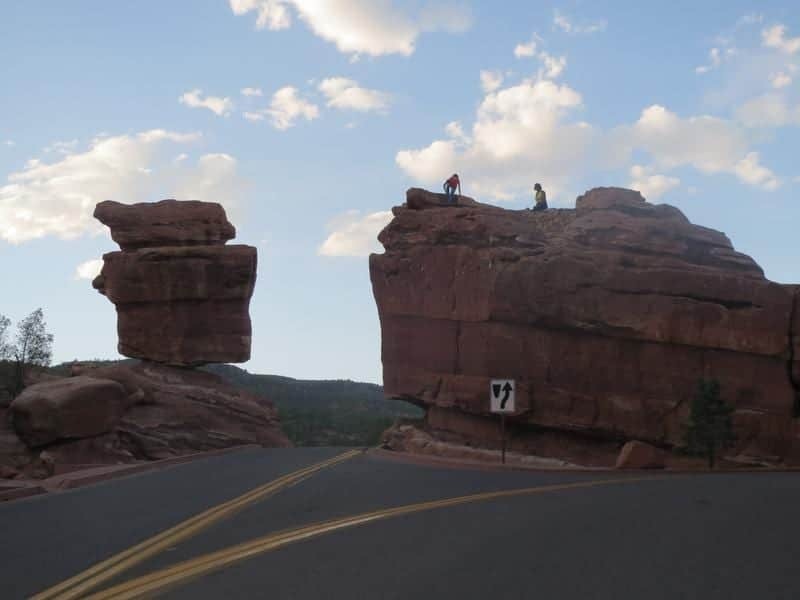 Observing people at "Balance Rock". The main road around the park is paved. 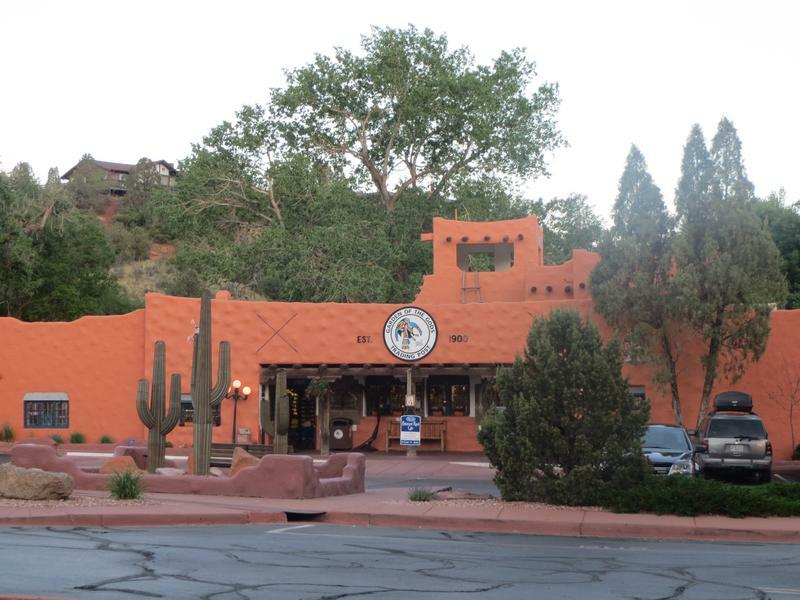 Trading post within the park. 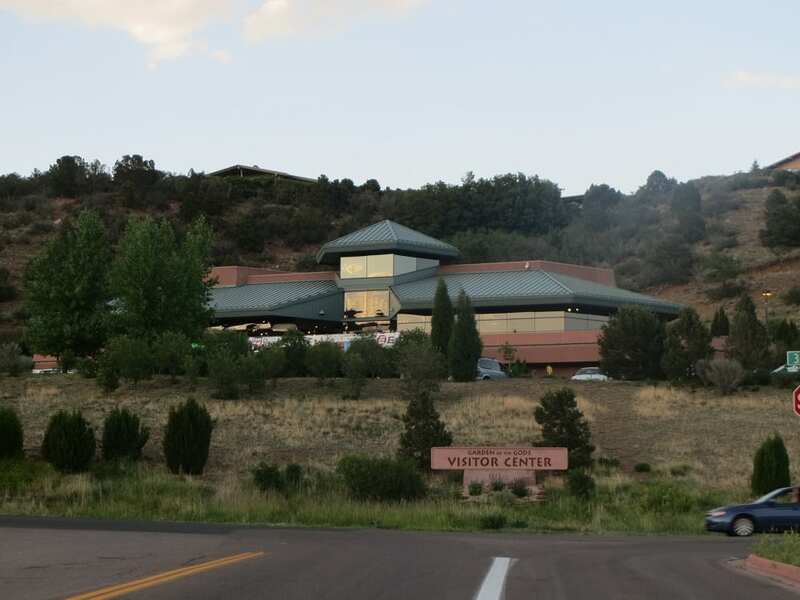 A large Visitor Center provides exhibits, shopping and fun. Big sandstone jetting out of the main parking area. A bird flying through the central rock formations. 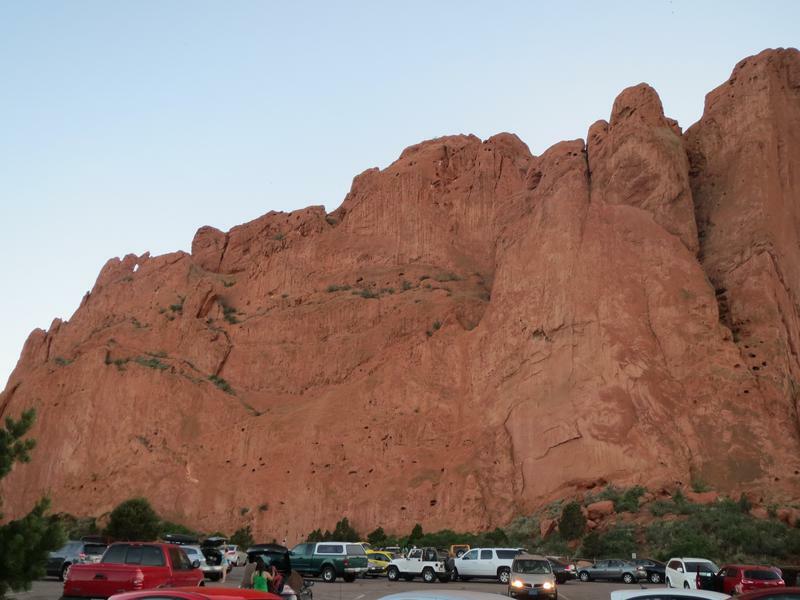 Looking at Pikes Peak from Garden of the Gods. 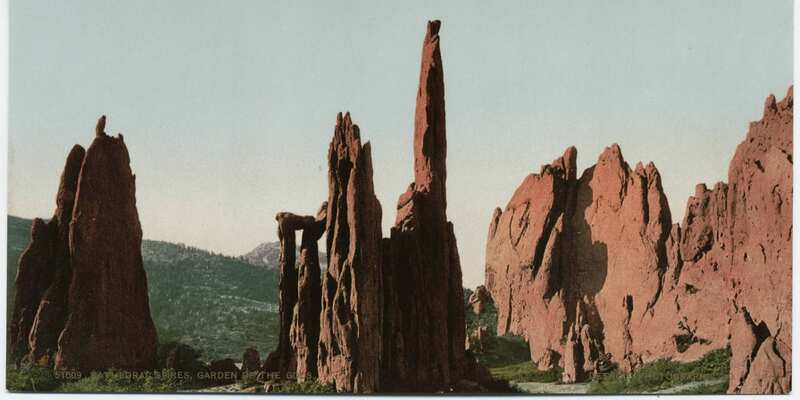 Vintage Garden of the Gods, circa 1897-1924.